Down the narrow alleyway behind the Alison Clare Hair Studio, at the top of the Vineyard, there was once a 1970’s commercial building. 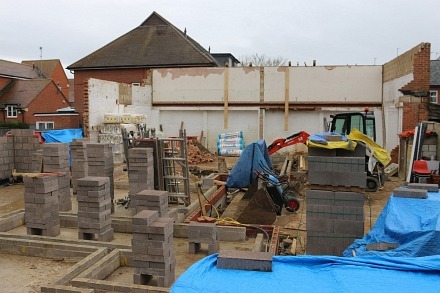 The building was last used commercially by a supplier of energy efficient boilers. 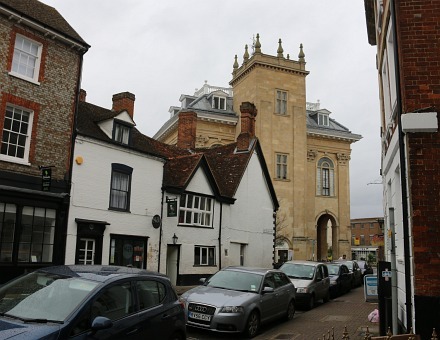 It was also used, during the 2015 general election, as the HQ of the local Lib-Dems. 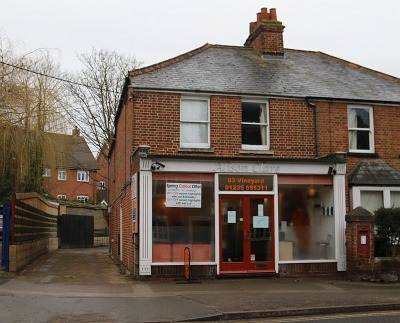 The building stood alongside other commercial buildings until Penlon moved and the area behind became ‘Penlon Place’. After redevelopment it could become ‘Lib-Dem Place’ if previous usage counts. 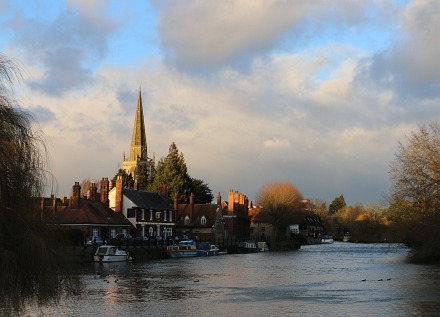 A Compilation of pictures used on the Abingdon Blog during February 2017. With a few that have not been used yet. 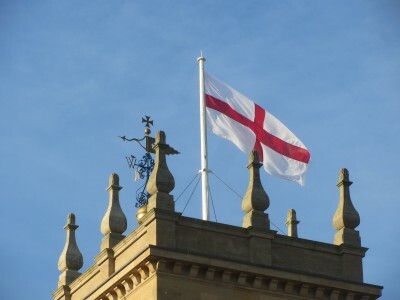 The flag pole has been taken down from the County Hall roof and will soon be replaced by a taller flag pole. Flags are flown every day of the year from that pole and some of them take a battering as they are blown against the stone finials that surround the tower. Mostly it is the Union Flag that is flown, but there are also the Abingdon Flag, St George’s Flag, Armed Forces Flag, and Commonwealth Flag. I remember the days when the EU Flag got flown on Europe Day once a year. There is also a campaign to get a Rainbow Flag flown during Oxford Pride on Saturday 3rd June 2017. It began life as the Family Centre and was run by the NCH (National Children’s Home). There was quite a controversy when PACT took over running the centre back in 2006. 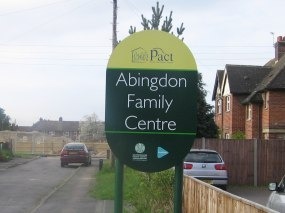 As well as being a centre for young families, it was also a place with meeting rooms for community groups in South Abingdon. 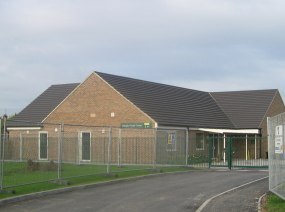 The Family Centre became the Children’s Centre. Lots of family and child support has been happening there over the last decade. 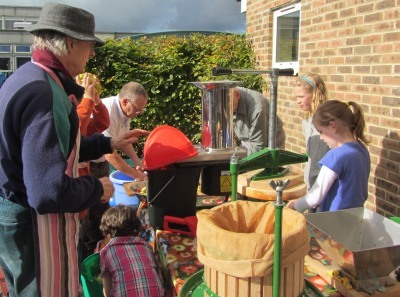 I often went there to report events like the apple days organised by the Abingdon Carbon Cutters. 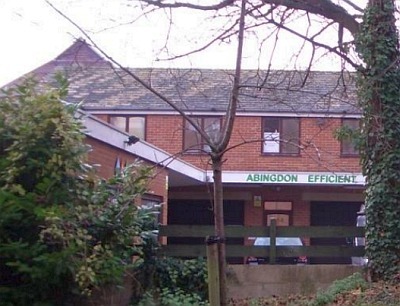 There will be an event on Saturday 18th March between 1 & 3 pm to Celebrate the work of the South Abingdon Children’s Centre which is in danger of closing. People are very sad that this brilliant local facility is being cut off in it’s prime. This will be a chance to look back at all it has achieved. 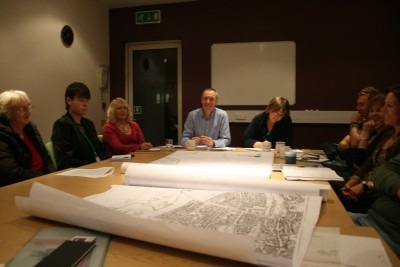 Other groups are still trying to work out a future for the much needed centre. 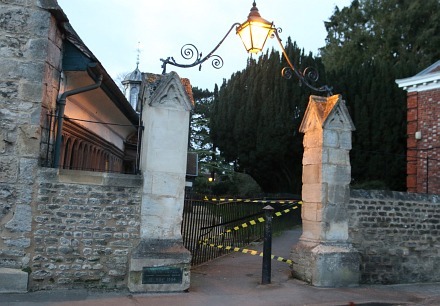 The walk near the almshouses was cordoned off because of a dangerous branch on one the large conifers near the church. The wind was strong enough to blow over wheelie bins and traffic cones in Abingdon today, and to send clouds speeding across the sky. One tree possibly blown over by Storm Doris was in the Albert Park. 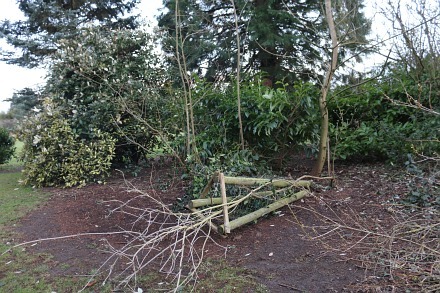 It appeared that the protective cage had blown over pulling down the small tree with it. 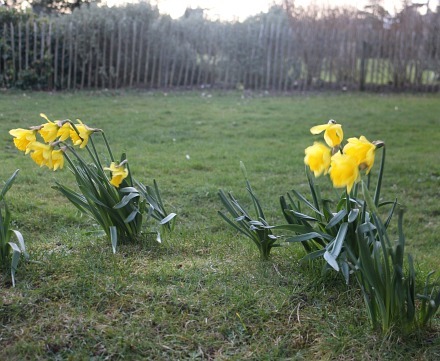 Early daffodils were blowing in the wind near the Bowls Club, and twigs had fallen on a lot of the walks on this very windy day. On the Ock Valley Walk a number of large willow trees were down – not blown down by the wind. 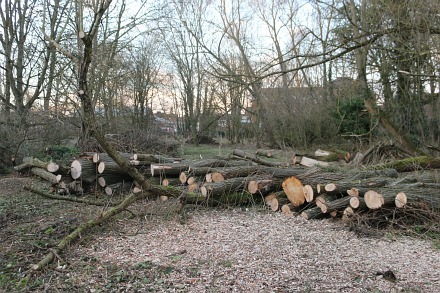 They were cut back as part of the management of the area before the storm.